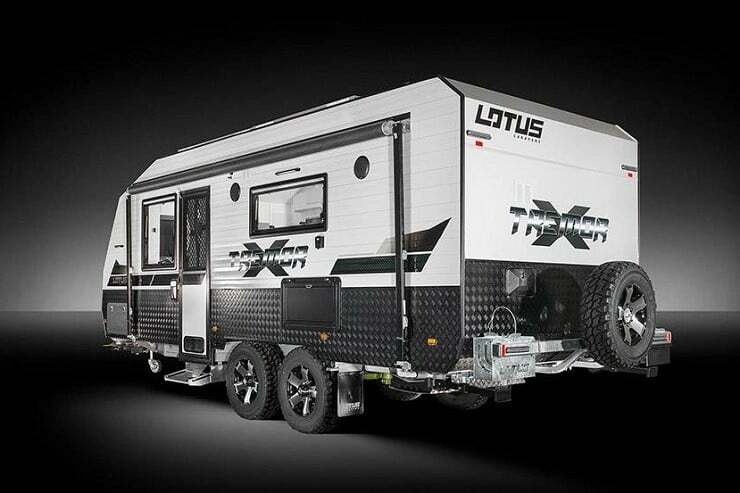 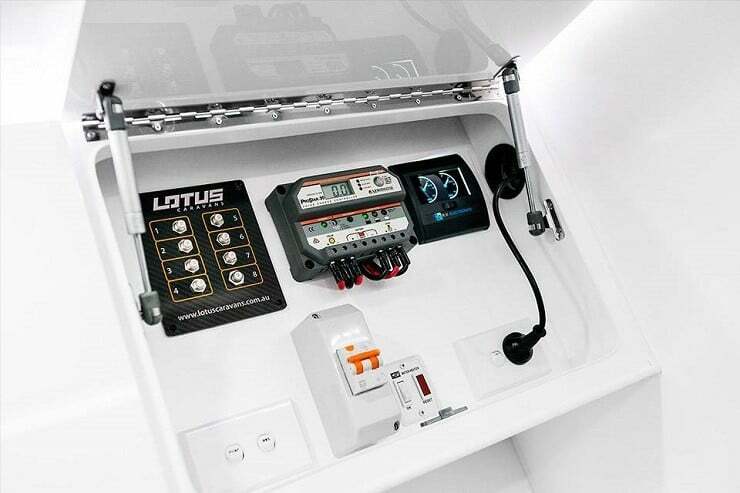 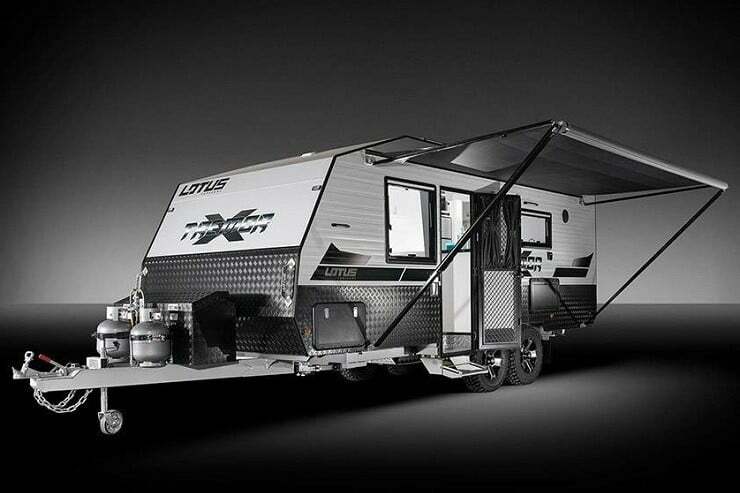 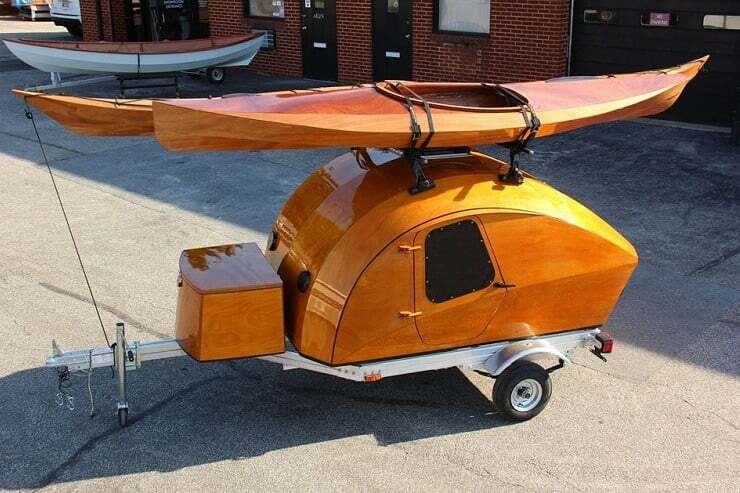 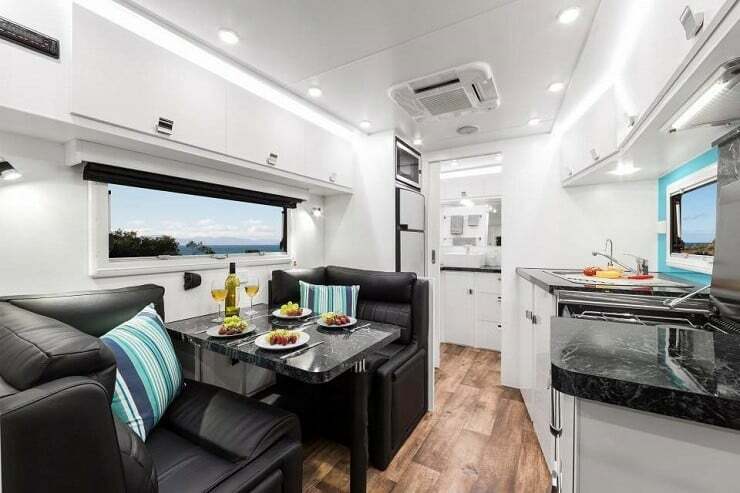 Looking to shape and shake the future of the luxury off-road caravan industry, the Lotus Caravans Tremor Camping Trailer (~$65K) is a new rig that can easily follow your 4×4 through the roughest terrain, while offering all the necessities and then some. 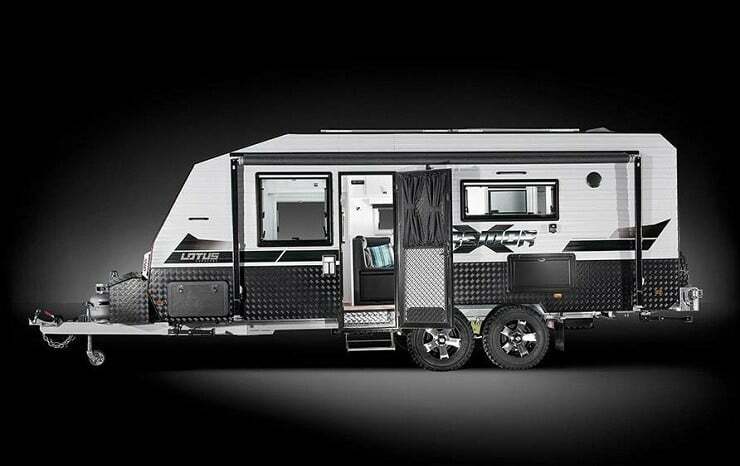 Arriving in three lengths of 19.5, 20.5 and 22 ft, and with various floor plans to suit different needs, the Tremor sits on a dual-axle trailer and is built of German composite, reinforced with diamond plating for extra durability. 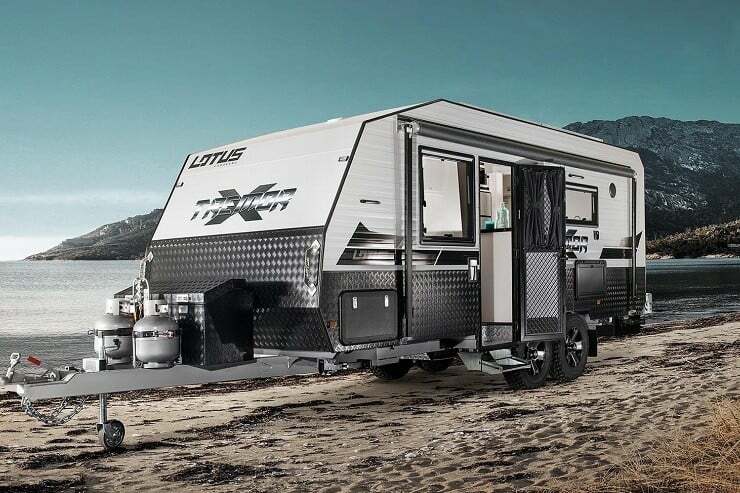 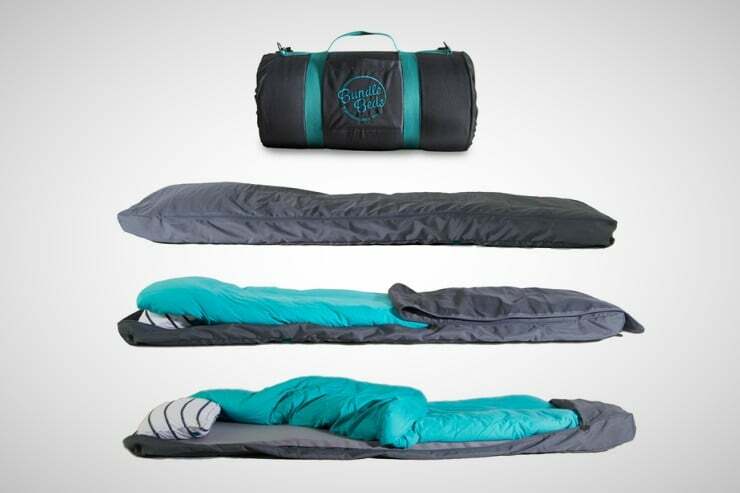 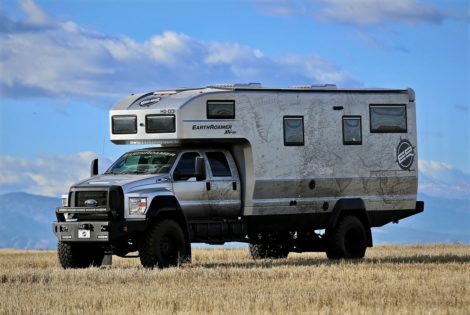 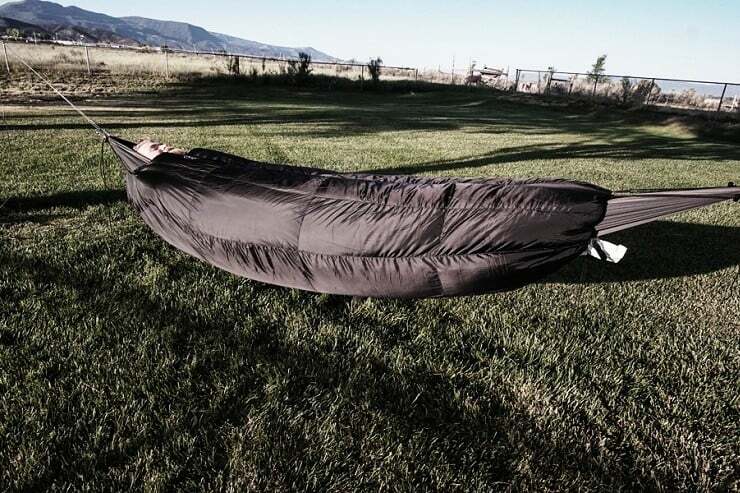 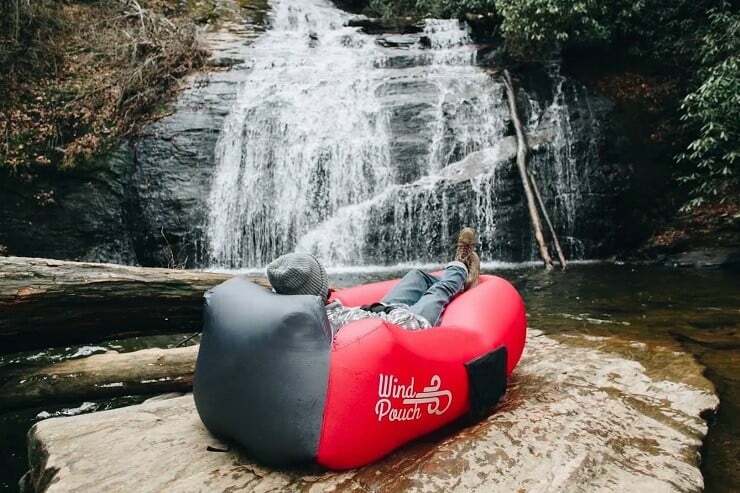 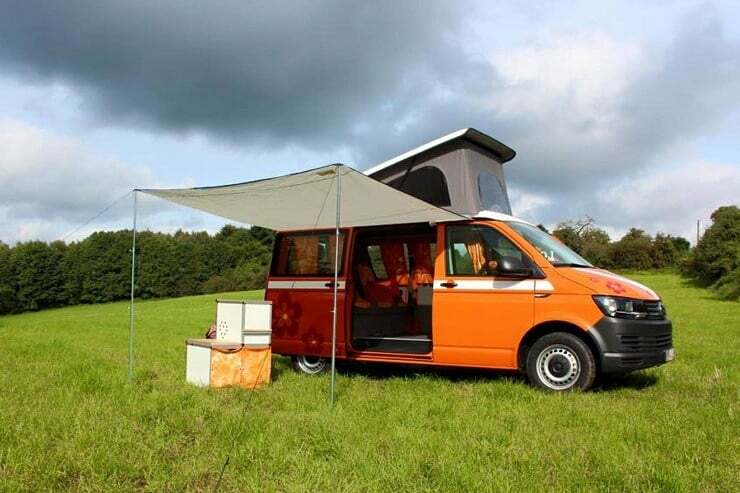 The camper’s off-road chassis, independent suspension system, and 16-in alloy wheels covered in all-terrain tires ensure this baby can firmly ride over uneven land. 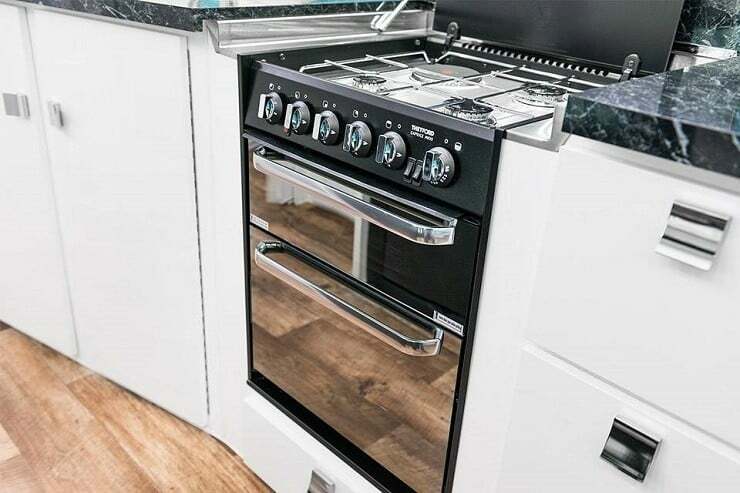 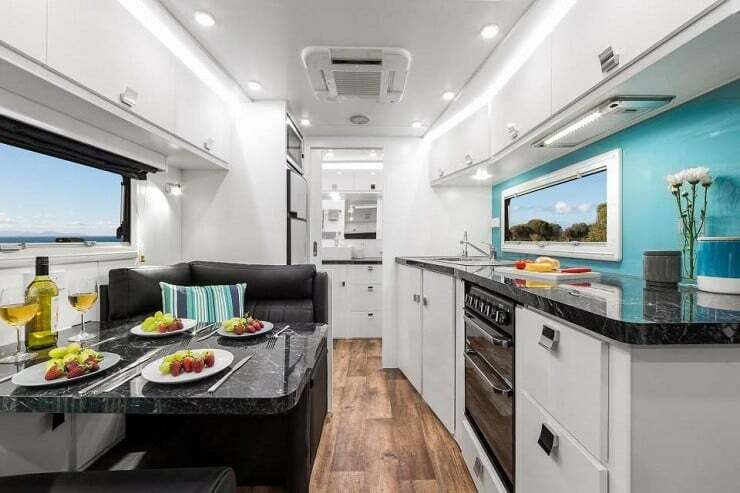 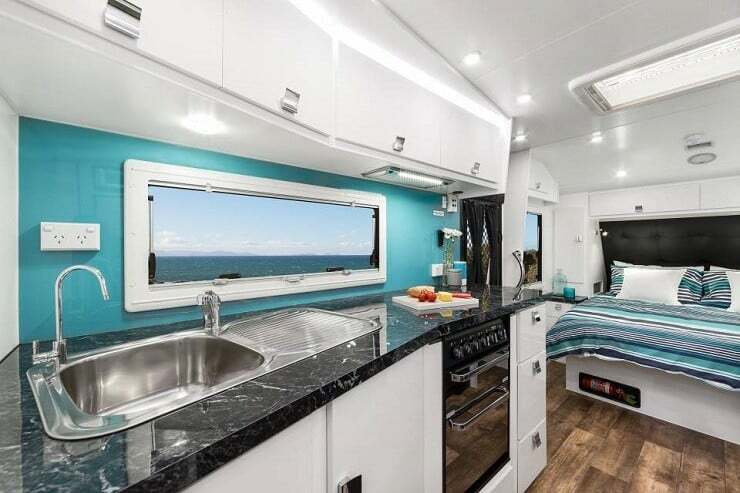 The largest model boasts what you’d expect in a traditional home (okay maybe a top-notch tiny home): full kitchen with a 4-burner range, fridge, microwave, laminate counters, dinette set, bedroom area with bunk beds, a full dry bathroom with ceramic toilet, sink, shower, and even a washing machine.